Protecting Yourself From Investment Fraud - Fischer Financial Services. Inc.
Bernard Madoff will forever be remembered as the king of Ponzi Schemes. 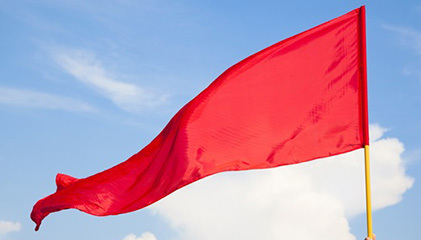 Many things contributed to his rise including a lack of oversight, greed, and the inability on the part of his clients to see the warning signs or red flags. An investment manager does not need full power of attorney over anyone’s account. Do not use a manager stating that they must have full power of attorney. An investment manager should never serve as both broker dealer and investment advisor. Never use an investment manager who physically holds your funds. An independent custodian like Fidelity or Schwab should hold the funds. An investment manger and the custodian should independently track the investments and provide the client with separate holdings statements to avoid the possibility of fraudulent reporting. An investment advisor should not trade securities he creates for his advisory clients. Hedge funds are not currently regulated by the U.S. Securities and Exchange Commission and should be considered high risk. Our firm does not manage a hedge fund and never will. When dealing with hedge funds, let the buyer beware. If the performance sounds too good to be true, then it probably is. Bernie Madoff reported only seven losing months over a 174-month time period (i.e. 14+ years). This is statistically impossible and should have been the biggest red flag to his investors. Run away from any advisor who says he can “guarantee” that you will achieve a certain percentage of growth. Steer clear of managers who sell products and earn commissions; their management may not remain objective. An investment manager should be registered as an Investment Adviser Representative (IAR) and must work for a “Registered Investment Adviser” that is regulated by either the U.S. Securities and Exchange Commission or the appropriate state securities commission. All “Registered Investment Advisers” by law must provide the Form ADV Part 2 to every prospective client before signing an agreement. Anyone who is unwilling to provide you with their Form ADV must be avoided. Performance statistics that are GIPS® compliant are examined by an independent GIPS auditor which means the performance meets very precise, exacting worldwide standards and are real. If your advisor provides statistics that are not GIPS compliant, the statistics may be hypothetical and worthless. All compliance issues and regulatory actions must be documented in a firm’s Form ADV. In addition to asking for several pages of references, check with the U.S. Securities and Exchange Commission and the appropriate state securities commission to determine if fines or enforcement actions have been brought against the advisor.